It Started in Hamburg: A title without exaggeration as the city was where Klaus studied graphic design and where he took his first musical steps. He had his first jobs as graphic designer and as studio musician. In Hamburg he met four lads from Liverpool who changed his life. The exhibition is based on the same named book, which has been released on the occasion of Klaus 80th birthday in April 2018. 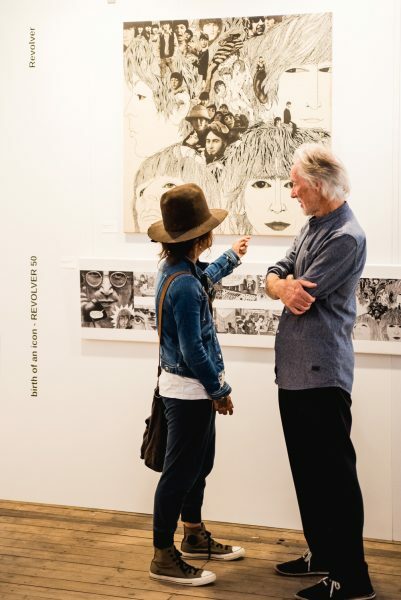 Iconic illustrations from the Beatles era as well as numerous graphic works, sketches and productions provide insights into 60 years of the artist’s diversity.